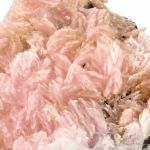 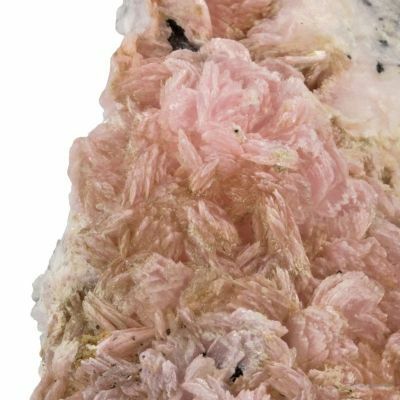 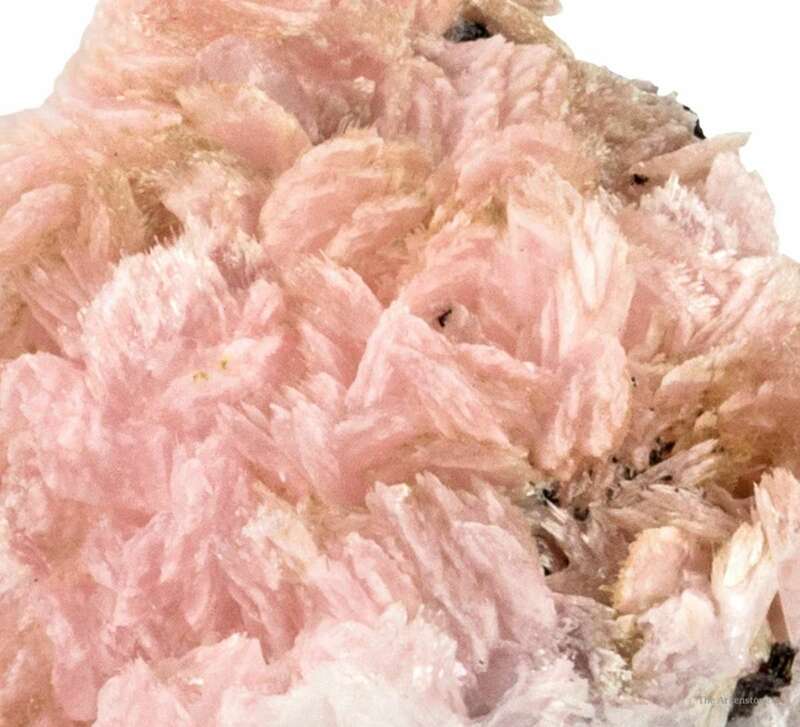 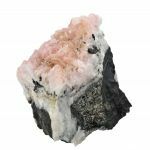 Very recently described as a new mineral species, this matrix specimen features intergrown, translucent, disc-shaped crystals, to 4 mm across, of pastel pink marshallsussmanite. 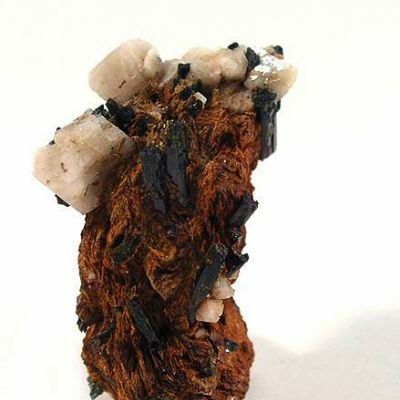 There are also a few lustrous, blackish brown crystals of aegirine, to 4 mm in length, attached. 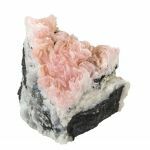 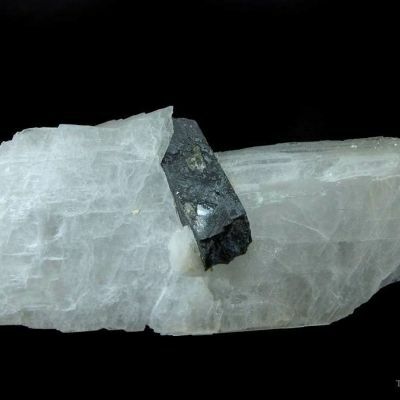 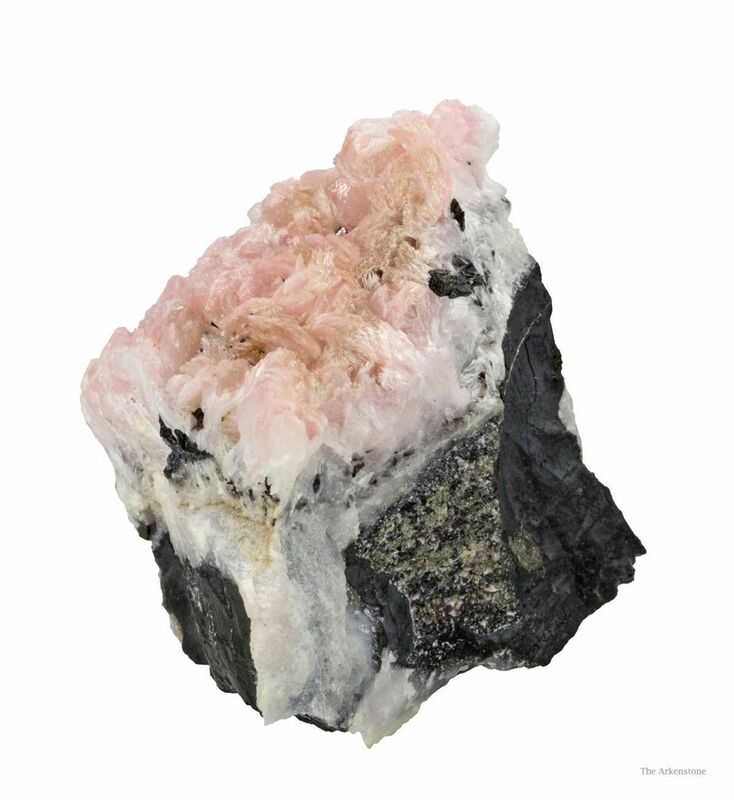 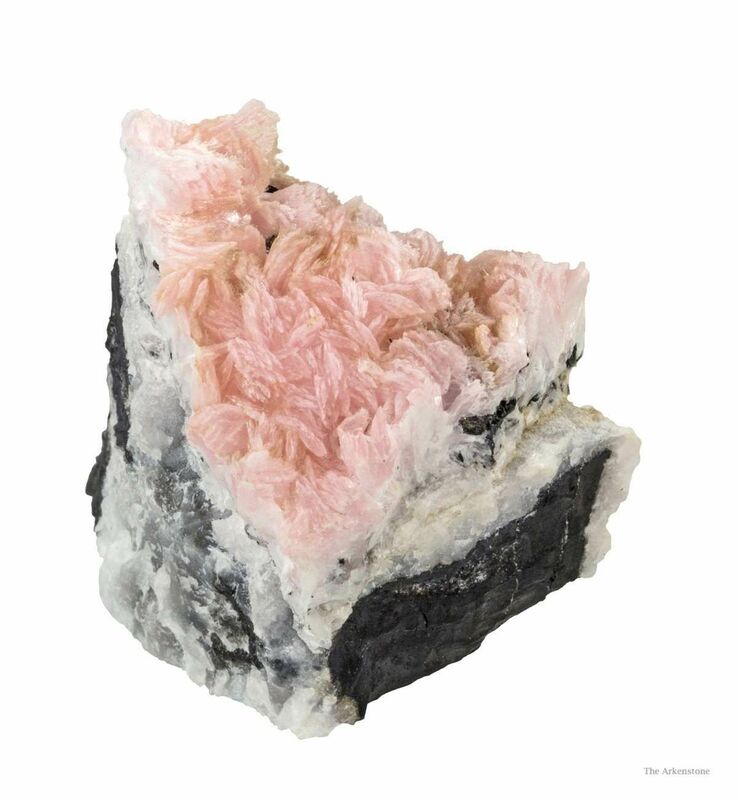 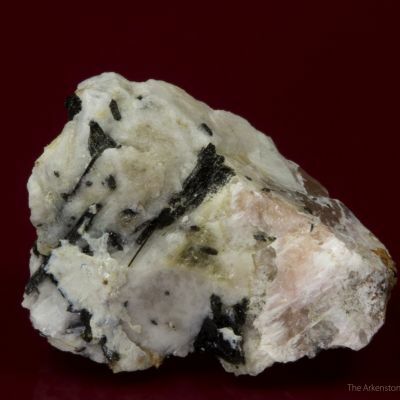 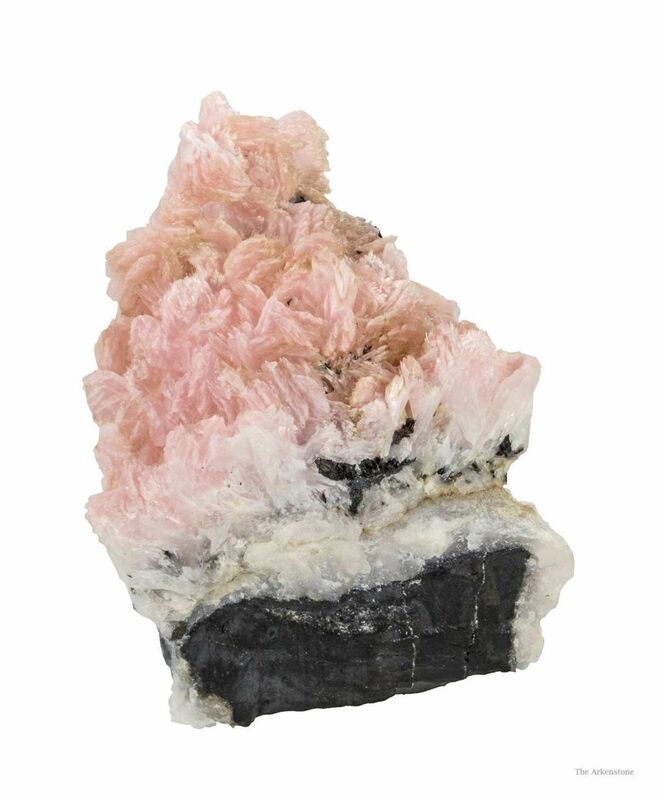 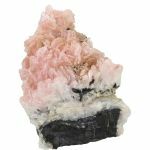 This rare sodium, calcium, manganese silicate is named for the prominent Tucson area collector, Marshall Sussman, who specializes in Namibian and South African minerals. 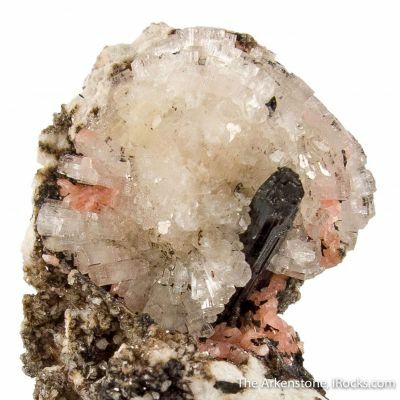 Only two fairly small pockets were found, as yet, to my knowledge. 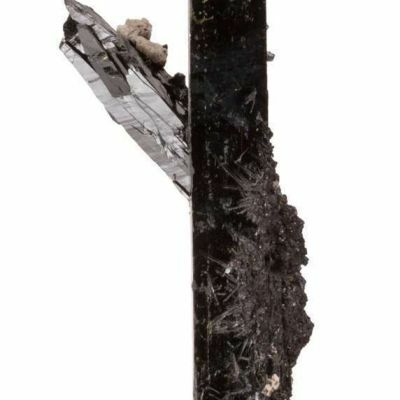 This was mined in the second pocket of late 2013.